Space-Time Insight, a Fremont, Calif.-based provider of geospatial analytics, has raised $14 million in Series B funding to take its software mainstream. Although Space-Time has made a name for itself in the energy sector — a fact underscored by its new energy-focused investors — the company says it has value anywhere organizations have assets to protect. 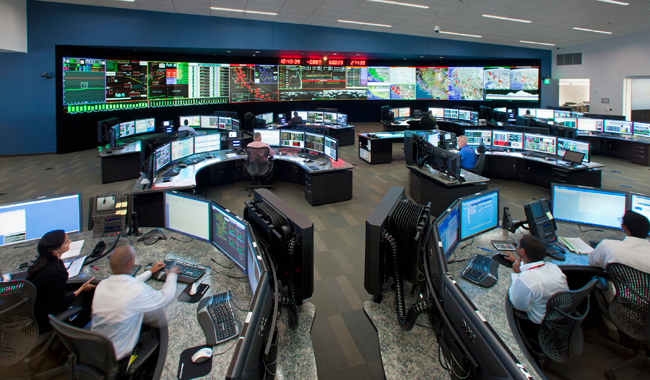 We first covered Space-Time last year, when the California Independent System Operator deployed the company’s software to power a massive control room featuring an 80-foot screen that displays map views and real-time information from the ISO’s energy infrastructure. Among the ISO’s duties is managing approximately 25,000 miles of power lines, and Space-Time helps it get a view of what’s going on across all that distance. Once they get started, they just keep thinking of new analyses they’d like to do. For example, Ehrlich explained, a utility might begin by trying to locate which regions are having the most problems by analyzing the general readings from its infrastructure in each area, and then drill down ever further to the point of looking at specific neighborhoods and external data associated with those neighborhoods. Despite the broadening interest, though, the energy sector is still “absolutely” the driving force behind Space-Time’s growth, Schilling said. The company’s new investors underscore that reality. EnerTech Capital, Novus Energy Partners and ClearSky Power & Technology Fund joined existing investors Opus Capital Ventures and Start Up Farms International in this round.